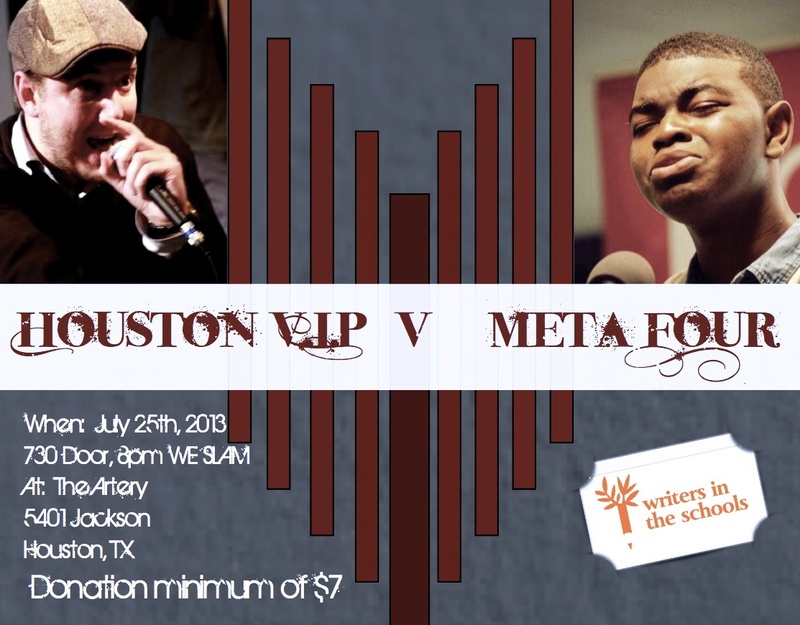 WITS » Houston Poetry Slam: Youth Versus Adults! Houston Poetry Slam: Youth Versus Adults! Come out and support Meta-Four, a spoken-word program of WITS youth, as they engage in a battle of words with the Houston V.I.P. team. Where: The Artery, 5401 Jackson, Houston, TX. When: Thursday, July 25th. Doors open at 7:30 PM, and the POETRY SLAM begins at 8 PM. Minimum donation of $7. Hosts are Robyn Adams and Lupe Mendez.